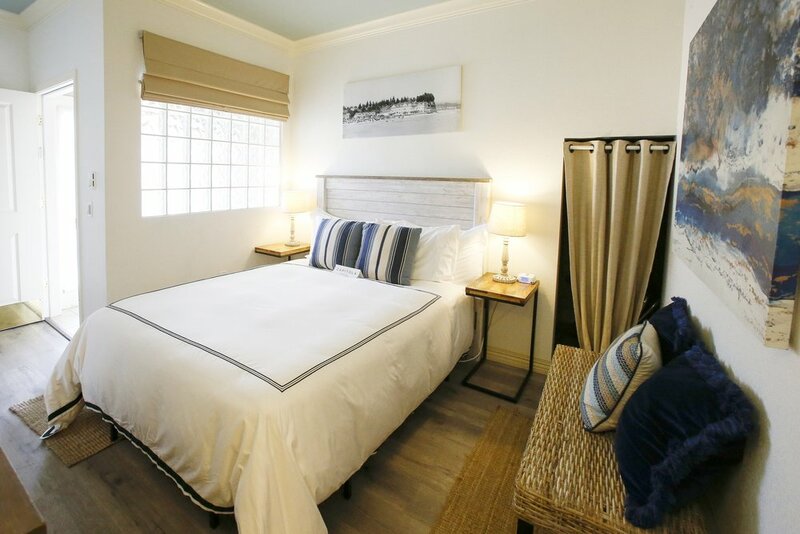 The Martinique room is our Only Pet Friendly room with a private entrance right onto the Esplanade. The beach is just half a block down the Esplanade and we offer beach towels in our lobby should you forget yours! 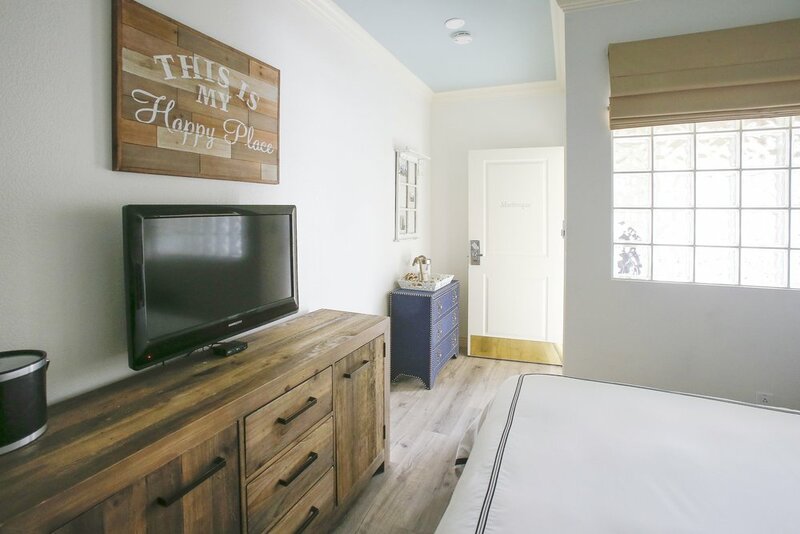 This room features one queen size bed and a private bathroom with a shower, flat screen television with cable TV, free Wi-Fi, mini fridge, hairdryer, Capitola Hotel Signature Bath Products, and an iron and ironing board. A microwave is available for use in our lobby. Maximum occupancy for this room is two guests. Our daily continental breakfast is also included with this room. So, don't leave your pooch home alone, bring him or her to Capitola and stay with us! Book now!